Jamia Millia Islamia was established in the year 1920. It was started by Maulana Mohammad Ali Jauhar, Shaikhul Hind Maulana Mahmud Hasan, Hakim Ajmal Khan, Shri A.M. Khwaja, Dr. Mukhtar Ahmad Ansari, Dr. Zakir Husain, Aligarh (Uttar Pradesh). The campus shifted to Delhi in 1925. The University got its ‘deemed’ status in 1962. It is accredited ‘A’ by NAAC. 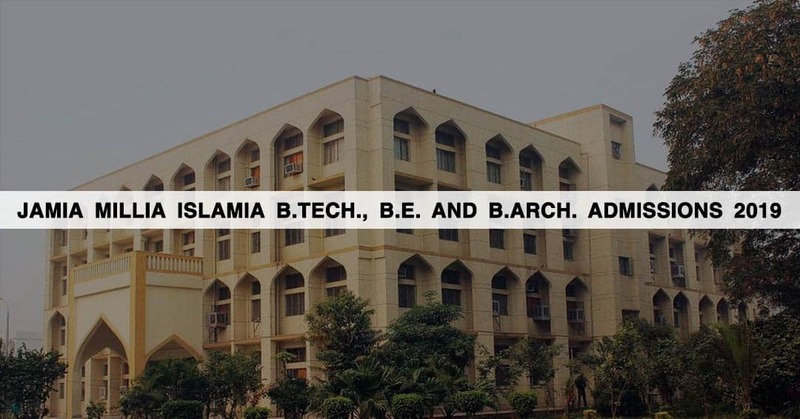 The admissions to B.Tech. and B.Arch. courses are based on the rank obtained in JEE (Main). The candidate must have been 17 years of age as on the 1st October on the year of admission. The candidate must have a 3 or 4-year diploma in Engineering recognized by the AICTE or State Board with at least 55% marks. The candidate must have a 3 or 4-year diploma in Engineering from a recognized Polytechnic or Technical Institute. The candidate should have at least 2 years of professional experience after the diploma. He/she must have a 3-year Diploma recognized by the Center/State Govt. with at least 50% marks.